Warning: The following trailer and article may contain Days Gone spoilers. Hop back on your hog if you want to go in completely fresh. Sony just held their first Nintendo-Direct-style PlayStation State of Play presentation, and while we didn’t get any blockbuster announcements, we did get a fresh look at the PS4-exclusive Days Gone. The new story trailer provides a glimpse of what happened to main character Deacon’s wife Sarah, and for the first time, it’s hinted she might not be dead. Will searching for your wife provide the backbone of the game’s story? We also meet a variety of new characters, some allies, some likely villains (I don’t trust that guy in the cowboy hat). Check out the trailer for yourself, below. 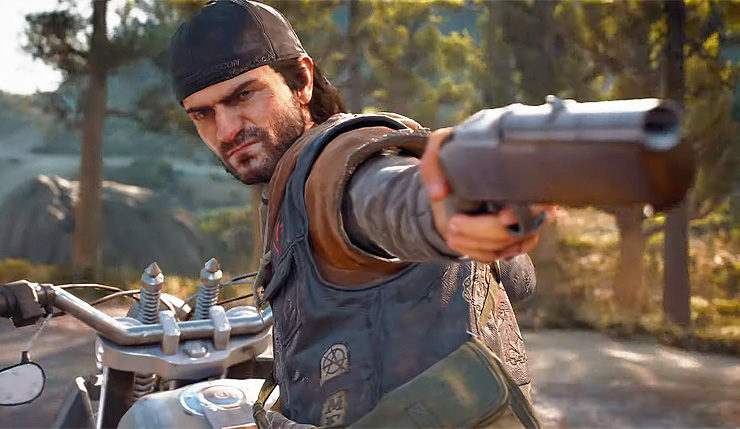 The overall tone of Days Gone is a touch irritating, but I’ll admit, the story looks intriguing enough. Definitely good to see some more characters, as previous trailers kind of made the game look like a one-man show. Also, Sarah possibly being alive could be interesting, as long as the game doesn’t turn into a zombie-filled “save the princess” scenario. We shall see. Set in the beautiful, volcanic scarred high-desert of the Pacific Northwest, Days Gone is an open-world action-adventure game where you play as Deacon St. John, a Drifter and bounty hunter who would rather risk the dangers of the broken road than live in one of the “safe” wilderness encampments. The game takes place two years after a global pandemic has killed almost everyone, but transformed millions of others into what survivors call Freakers – mindless, feral creatures, more animal than human but very much alive and quickly evolving. Skills learned in his prior life as an outlaw biker have given Deacon a slight edge in the seemingly never-ending fight to stay alive. But will it be enough? Days Gone shambles onto PS4 on April 26.